We are proud to announce that Harvest SA, a very young publication, has won a gold position in the Single Best Edition Category for the international Annual Tabbie Awards. According to the judging panel: "Harvest SA is packed full of useful information that is packed into an easy-to-read and colorful format. The issue is simple to navigate and beautifully laid out." Trade Association Business Publications International (TABPI), the organisation that hosted the 10th Tabbie Awards aims to help editors from across the globe to stay the course in editorial ethics and excellence. 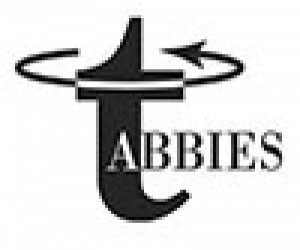 The Tabbies recognises excellence in design and editorial in trade, association and business to business publications from around the world and Harvest SA according to the judging panel has met all the criteria. We are honoured, humbled and excited about this accolade, not just because it is an amazing win, but because it means that the message behind the publication will be taken that much more seriously. Food security is an issue that impacts us all, and will negatively impact future generations to come if we don't act fast. The only way we are going to combat this, is through partnerships between governments the private sector and charities and organisations that help the poor and malnourished, through empowerment, employment and skills development. We need to work together, we need to get the urgency of the matter out there to anybody who will listen and who has the power to make a difference to the lives of many. TABPI has helped us in reaching that goal, and for that, we thank you. Further thanks needs to go to the dedicated team that works tirelessly each edition to ensure it follows its mandate. Designer, Travis Arendse, Head of Design, Brent Meder, Managing Editor, Lindsay King, Production Manager, Francesca van Rooyen, Senior Sub-Editor, Diane De Kock and everybody else who has a hand in this win, I thank you.